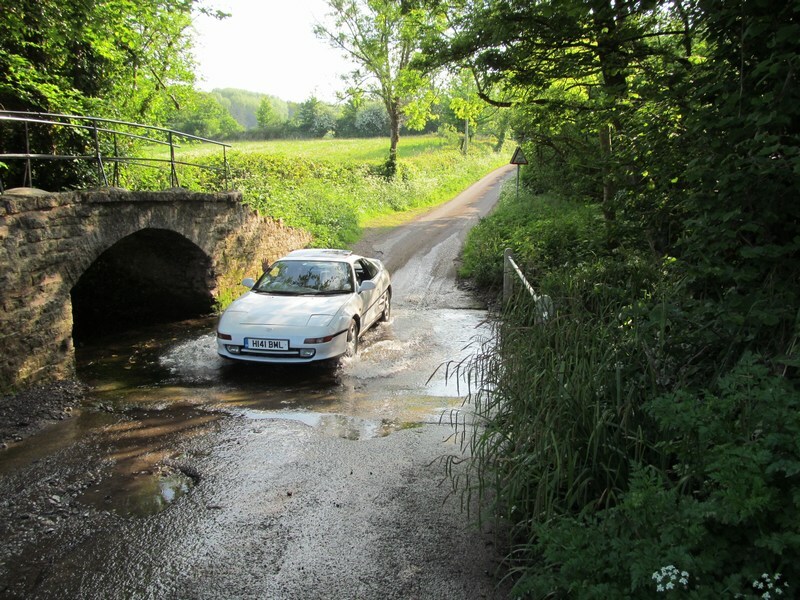 On May 20th, Bath Motor Club held its annual motoring treasure hunt / circuit of Somerset lanes and MR2 Drivers’ Club members were invited to join in. Last year two MR2 teams from the South West Region attended, but unfortunately this year there was a conflicting MR2 event, so attendance was reduced to one although the event had a full entry in the end. Steve and Cathy Simpson from Minehead completed the course in their very smart white Mk2. The attached picture shows them passing through the watersplash which was included in the route.